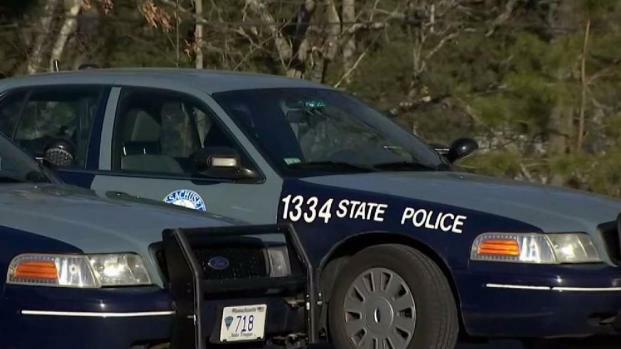 A Massachusetts State Police trooper relieved of duty after being accused of being drunk at work is back on the job, and the NBC10 Boston Investigators found dozens of internal affairs investigations in the 17-year veteran’s record. Trooper Jonathan Brown has been re-assigned to a new barracks and put on desk duty since being relieved of duty on St. Patrick's Day pending an investigation into suspicions he was drunk. That incident is still under investigation, but it is just the latest into a trooper with a history of substantiated complaints on the job. Brown, reached by cell phone, declined to comment. The state police said they would not comment on personnel matters. The NBC10 Boston Investigators found that since Brown joined the state police in 2001, he has had 36 complaints about or investigations into his conduct on the job. State police investigators found him responsible in 49 percent of the incidents. “That’s certainly a lot of complaints,” said Al Donovan, a consultant to police departments on internal affairs investigations and a former Tewksbury police chief. Donovan said the more active a trooper is, the more complaints he will have, but even unsustained complaints are cause for concern. “Complaints from citizens are an early indicator that that person has to be looked at and there’s something going on in their life,” he said. The sample of complaints and investigations that were considered “sustained” included a tense encounter with a citizen at a Dunkin' Donuts off the Massachusetts Turnpike in Framingham. The person recorded the 2009 interaction after seeing the on-duty trooper park in the only handicap space. In the video, Brown angrily rebuffs the citizen’s request for his name, though he finally did give it to him. In two others, drivers say Brown screamed at them or intimidated them during traffic stops - angry, spitting and jumping up and down. In documents from that investigation, a state police captain noted that Brown was the fourth “most frequently complained about trooper” out of more than 2,000 officers. “Someone should be looking at and saying this is an issue, because that’s not something you want to be,” Donovan said. In 2010, Brown worked eight hours of overtime on a construction detail, but also claimed he was testifying in court on a traffic violation at the same time. He charged the state another four hours of overtime for that same time. He even wrote in his report that the driver didn't show up to court and therefore was found responsible for his ticket. But according to court documents, Brown was the no-show and the driver got off. When the double dipping was discovered, Brown told investigators he got his days confused, but state police ruled it employee misconduct. It is unclear how, or if, Brown was punished, because state police heavily redacted his report. Personnel information of state and municipal employees is exempt from the state’s public records law, and such information is routinely withheld from the public. Brown’s internal affairs investigations, which are public records, did reference days without pay on some past incidents, along with repeated notes from supervisors saying that Brown’s growing file was a problem. “These are all red flags and alerts that have been either missed or not addressed properly,” Donovan said. Brown, a patrol trooper for part of his career, has been involved in seven on-duty crashes since 2014. He also was involved in five crashes on his personal driving history since joining the force in 2001. He was found responsible for all five personal crashes and five of the on-duty crashes. The seventh on-duty crash, which occurred last year near Logan Airport and sent a woman to the hospital, is still under investigation. According to state police documents about that incident, Brown’s cruiser moved into the woman’s lane. Brown says he blacked out behind the wheel, and so he doesn't remember what happened. In the accident report, the investigating officer at the scene wrote that “Trooper Brown was advised to submit…,” but we don’t know what he was being advised to submit to because the rest of the sentence was redacted by state police lawyers. Donovan said the number of crashes, coupled with the allegations of being drunk on the job, should prompt state police to scrutinize Brown’s time on the road. “Your first duty is to make sure he doesn’t get behind the wheel of a cruiser and endanger the public,” he said. There are still unanswered questions about the March 17, 2018 incident. State police say Brown showed up to work at the Devens barracks drunk, but he wasn’t sent home until halfway through his shift. It is unclear whether he drove his state vehicle to work, if he went on any calls in a cruiser or if he interacted with the public. A state police spokesman said Brown would have to meet several conditions to return to full duty, and then they will decide if he is fit for duty. But state police refused to say what those conditions are.